If you enjoy frozen desserts, you’ll want to make room in your freezer for this recipe. With three types of fruits and non-fat yogurt, it not only tastes great but also helps you to get your recommended fruits and dairy for the day. Not only is yogurt an excellent source of protein and other essential nutrients like calcium, potassium, and magnesium, it also contains bacteria that’s good for your health, according to the American Society for Nutrition. Line muffin tin(s) with 18 paper baking cups. In a large bowl, mix mashed bananas, yogurt, strawberries, and pineapple. Spoon into muffin tins and freeze at least 3 hours or until firm. 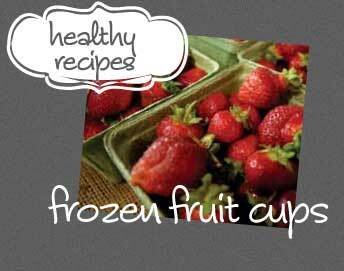 Remove frozen cups and store in a plastic bag in the freezer. Before serving, remove paper cups. These are also great to throw into a fast smoothie. Just add water or milk and blend them in your blender for a fast smoothie. Another great thing about this recipe is you can use whatever fruits you like! What ingredients did you use? Snap a pic and tag #healthypsu on Instagram or Twitter for your shot at becoming the featured image on the blog.